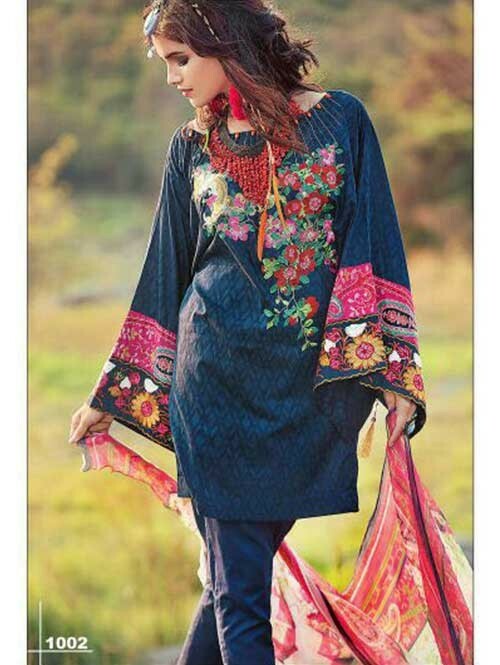 Catch Out Best Look For The Day With This Awesome Blue Colored Embroidered Suit today. 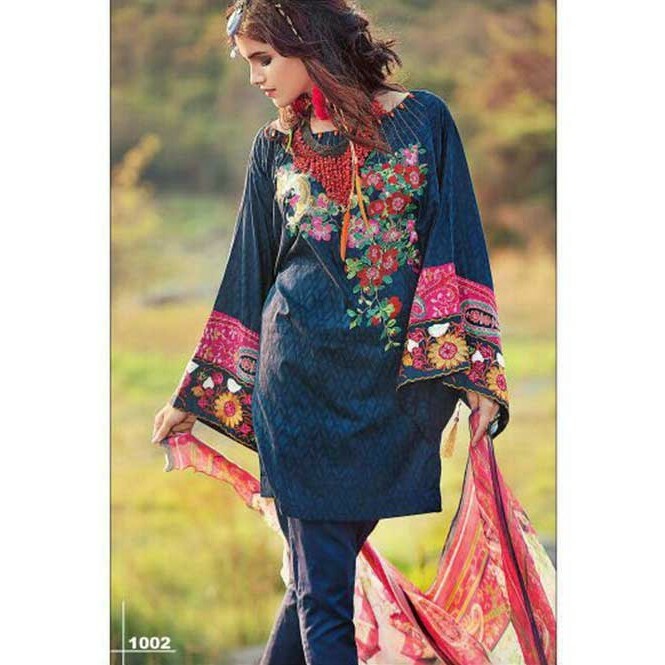 Pakistani Designer Blue Colored suits with Lawn, Cotton & Embroidery Suits / Dress materials of world know designer brands. 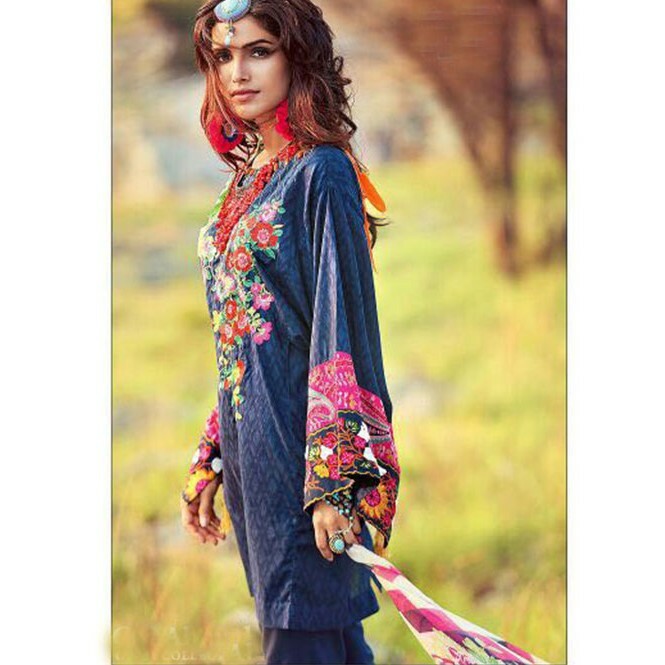 Smart Formals for festivals or traditional celebrations, casual evening wears. Great to wear for formal family get together, Office wear.The complete suit piece with kurta, bottom fabric and Chiffon dupatta is provided.